Naomi is one of Today Translations’ Finance and Admin Officers, providing vital support to both Finance and Operations Departments. Before joining Today Translations, Naomi worked in government for the Welsh Assembly, supporting the implementation of quality standards, counter-fraud risk analysis, financial planning and budgetary controls. Naomi’s broad and diverse experience makes her a valuable experience to the Today Translations’ team. 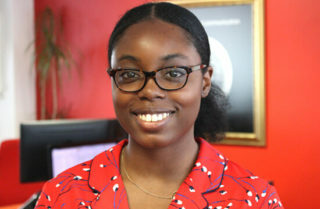 Naomi holds a BSc in Accounting and Finance from The London School of Economics.